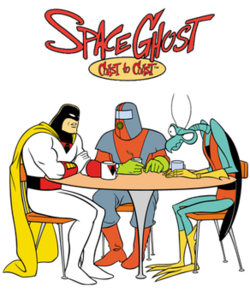 ^ "Space Ghost Coast to Coast [Animated TV Series] (1994) - Trailers, Reviews, Synopsis, Showtimes and Cast". AllMovie. Retrieved August 26, 2015. 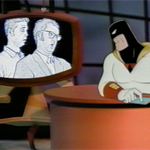 ^ "Late Night with Space Ghost". Snard.com. April 15, 1994. Retrieved August 1, 2009. ^ Meisler, Andy (November 20, 1994). "And Now, Here's . . . Ummm . 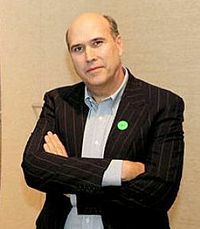 . . Space Ghost". The New York Times. p. 1. Retrieved January 7, 2010. ^ Meisler, Andy (November 20, 1994). "And Now, Here's . . . Ummm . . . Space Ghost". The New York Times. p. 2. Retrieved January 7, 2010.